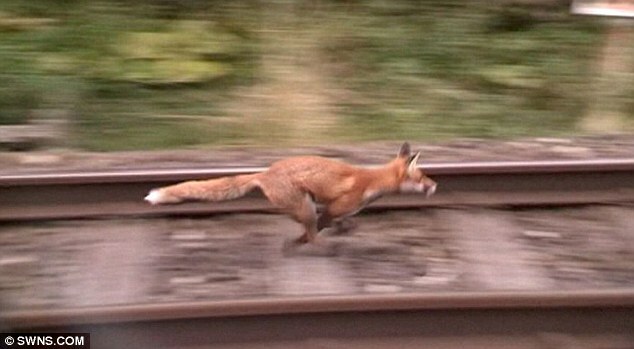 A video of a fox being chased along a main rail route to London, while being hunted by a pack of hounds, is being investigated by police. 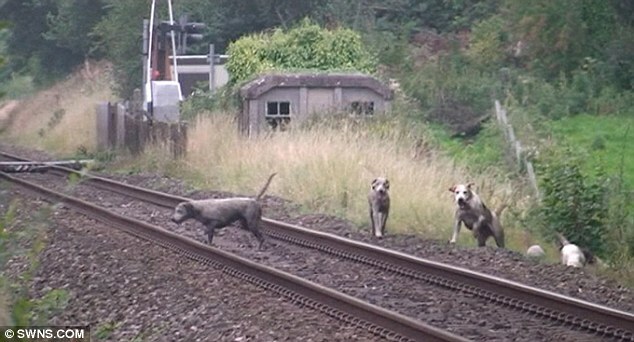 The footage, filmed by anti-hunt protesters next to the busy Exeter to Waterloo railway line through Clapton, Somerset, shows the fox sprinting out on to the tracks with up to a dozen dogs in hot pursuit. The hounds are called back by huntsmen just before a train – packed with passengers – speeds down the line. Police launched a probe into the actions of the Seavington Hunt after claims of illegal hunting and rail chiefs warned the hounds could have created carnage. The train drivers’ union, Associated Society of Locomotive Engineers and Firemen (Aslef), described footage of the incident as ‘shocking’. A spokesman for Aslef said: ‘I estimate around a dozen dogs were on the line at one point, which is a considerable threat to a train. Anything that affects the safety of the railway line is serious. Witnesses to the incident, at around 7.20am on Sunday, described seeing up to 20 hounds spilling on to the tracks in Clapton, near Crewkerne, in Somerset. Footage of the incident was captured by anti-hunt protesters, who later handed it to the International Fund for Animal Welfare (IFAW). One eye-witness, who did not want to be named, said: ‘The hunt put their hounds in to a small copse adjoining the railway line and I filmed a fox run past me up the middle of the railway track. ‘I was very concerned the hunt were coming so close to the railway as it is the main London Waterloo to Exeter line. ‘The huntsman was encouraging the hounds to hunt in the copse and about a minute later, the hounds emerged onto the track exactly where the fox had emerged. 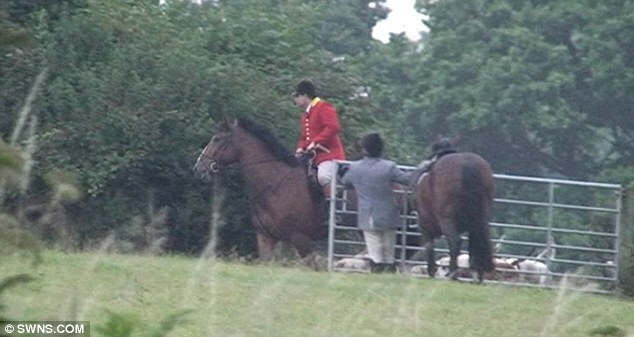 ‘Up to 20 hounds were on the line for a period of about two minutes despite the efforts of the hunt to retrieve them. The Countryside Alliance, speaking on behalf of the Seavington Hunt, said an investigation would take place into the incident. Hunting foxes with dogs has been illegal since 2005 but they can chase a scent and flush out foxes who are then shot. Avon and Somerset Police confirmed its hunt liaison officer was investigating whether any illegal hunting had occurred. British Transport Police said no trespass offence had been committed as no people had gone on to the line.